The Dominican Republic (DR) has implemented a deportation program that drew international criticism because people born in the country to non-citizens do not qualify for citizenship rendering thousands stateless, according to news outlets. A DR Supreme Court decision says non-citizens don't qualify for citizenship unless they had at least on parent who was a citizen or legal resident, according to Deseret News. 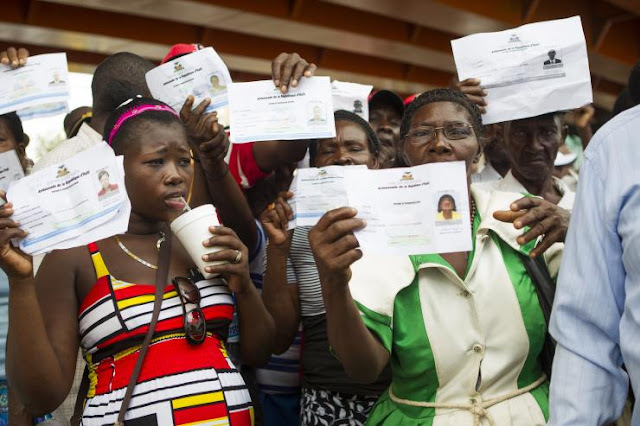 Officials said they will grant citizenship to some 50,000 people in this category, but an estimated 460,000 Haitian migrants live in the Dominican Republic. The Dominican Republic shares the island of Hispaniola with Haiti. The citizenship program began last June, and non-citizens can qualify for legal residency if they can prove they have been in the Dominican Republic since before October 2011. DR officials said more than 260,000 people enrolled in the immigration restoration program, but only 10,000 have provided the required documents, Deseret News reported. Most of those affected are Haitians or of Haitian descent. Thousands braced for deportation last week as the government cracks down on migrants. Several were turned away at the Wednesday deadline after standing in line for more than 24 hours to submit applications to establish legal status for two years. DR authorities were expected to patrol main cities to detain and deport people. According to a Huffington Post report, several thousand people born in the Dominican Republic to Haitian parents, some of whom have lived in the country for generations and have no ties to the neighboring country, face the risk of deportation. The countries have long had a tense relationship when it comes to birthright citizenship. Migrants have traveled into DR since the early 1900s, driven by work and opportunity in jobs like domestic service and sugar cane cutting. A 2004 immigration law specified that children born to undocumented immigrants would be excluded from DR nationality and urged to move to Haiti, Huffington Post said. Right now, it doesn't matter if migrants have Dominican IDs and passports. Even when the law gives lawful migrants a path to citizenship, hundreds could not meet the deadline. "I'm not leaving," MacLawson Joseph, 28, told the Huffington Post. "My mother's here. My father's dead. My sister, all my family is here. What am I going to do over there (in Haiti)?" The vast majority of migrants are black, leading many to believe racism is the reason why.